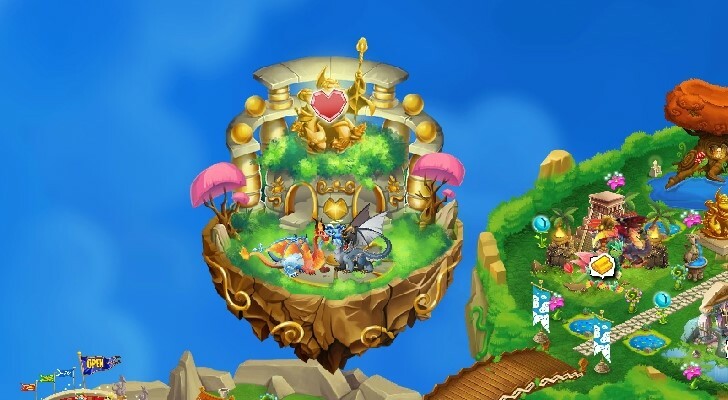 Breeding Sanctuary Now Live in Dragon City! Check out the updated Breeding Calculator that includes results from the Breeding Sanctuary! Important: The dragons unlocked at level 1 are difficult to impossible to breed in Sanctuary level 7 and 8. As are the dragons unlocked at level 2 in Sanctuary level 8. Social Point customer service has confirmed it is a 0% chance in those cases, but there have been some claims that they have been bred. Don’t risk it though, they are certainly much easier to breed when around the same Sanctuary level! How to Breed Page Updated! How to Breed in Breeding Sanctuary? First of all, it appears you simply want to make sure to use the elements in the target dragon. Ice, Fire, Light, Dark for Abyss for instance. Any combo with all those elements should be able to give a chance at Abyss once you have unlocked the 5 level of the Breeding Sanctuary. The best time to breed Deep Red, Wizard, Ninja, and Burning would be at Breeding Sanctuary level 3 (60% group, 15% individual). For Wyvern, Steam, and Quake, the best Breeding Sanctuary level will be level 4 (30% group, 10% individual). For Dujur, Gargoyle, Magnet, Apocalypse the best level is fully upgraded to 5 (15% group, 4.25% individual). For Blue, Glacial, Howl, Promethium either level 4 or 5 are the same (10% group, 2.5% individual). Meteor, Forge, Abyss can only be bred at level 5 (5% group, 1.67% individual). All these values are not yet sure how they factor in, there may be other factors at work … but I think it’s safe to say we’re all going to be having a lot of fun in the next few weeks! Let us know if you figure anything new out or spot any mistakes! How to Breed Abyss Dragon? I just bred Abyss! I used Fallen Angel (Light/Dark) + Ice&Fire (Ice/Fire) and tried 6 times. The odds should be about 1.67%, so I got really lucky I think, or the odds are modified depending on other unknown (as yet) factors. I have sanctuary lvl 8….. How Can I breed dragons from lower lvl? i need dragon city friends… add me! i wanted to collect 150 gems to unlock rainbow island, and i already have 130. thanks to that mistake, my gems is now down to 59. Guys any news about dragons from level 1 and 2 🙁 I have Level 8 Breeding Sanctuary from a long time, and so far 0% chance of breeding not even one? Anyone else, any sujestions ? Please I have locked the Sanctuary at level 2 since its inception, what I have done so 4. I pressed the button fast gold. To improve only puts me much gold or gems 0 when I try improve servicior SP crashes. SP has not yet found the solution. What I can do? so in tournament with the new format. at twister level…battle 10. I do not have a steam dragon which is the only one eligalbe to fight a steam in this battle. My sanctuary is at level 8. does this mean i am done and can no longer advance in the game because a designer wasn’t thinking when the created n impossible sistuation. I can”t breed a steam dragon because i was already past level 2 in sancuatury when they created it and I can not advance in battle without it..and the battle can not be reset…did i waste the last 18 months playing the game? i breed mirage-dragon +wind-dragon= give me 81h what is ?? I can not upgrade my Sanctuary? do i need gems to use the breeding sanctuare or will it unlock at a certain level? 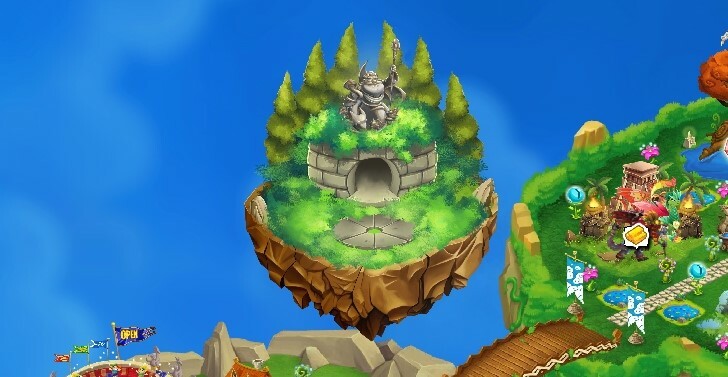 Hi Lizzy, After exploring these sites and various wiki about Dragon City, I now think there is not an Epic dragon that has both fire and light elements. Epic is only the minimum level required, so when you explore the Legendary category you will see two dragons that will meet this requirement, the Apocolypse and the Abyss dragons, there may be others but I am now busy trying to breed these two. Help please! What dragon is Epic light and fire? I can’t find anything on this and it’s needed in the new quest. Is there a place where all the dragons, their rarity and elements are listed? If so, I can’t find it. This would be very useful. Can’t I breed Level 3 to Level 7 Sanctuary Dragons too anymore if I’m at Level 8? Cause after several tries, I can’t seem to produce any of them. I only produce dragons from Level 8 including those dragons not in Level 1 to 7 Sanctuary. Need FB add for next island. anyone? WTH!!!!!. how come that sanctuary breeding upgrade cost huge amount of GOLD. My 95M gold gone while upgrading SB to level-7 and got only 33.34% increment. Is there a guide here for the cost of each step per level?????????????? Which dragons aren’t possible to breed with sanctuary at level 5 or higher? I am on level 7 on the sanctuary floating island and can not breed. My water dragon is on the island by itself, any advice? I have level 7 Sanctuary, trying to breed Acoustic dragon. Using caluculator it looks best with Red Rose and Neon; but my Red Rose doesnt show in the list of usable dragons. (No Portal dragons show) – Is it an error in calculator or I forgot to unlock something? WTF is Sanctuary Breeding Now, are there MAJOR changes in this breeding structure. Why it cost me 24M per step upgrade to level 7 and it took me two months to breed any of the dragons listed on levels 4,5 and 6 but still no LUCK. Even the stupid DUJUR using Star-Soccer combo(20x tries) didn’t give me the expected result? I’m 25. level and i still don’t have a breeding sanctuary. 🙁 Anybody know how to fix that? Is it possible to release the level 1 or 2 dragons with a lower % at Lv 8? Before upgraded to Lv 8, I don’t know that we cannot breed Lv 1 or 2 dragons anymore. di i have to waste 25 gems for each level or is it 25 gems for every level? Is it possible to downgrade the sanctuary? I have it at level 8 and i’m not able to breed quake and steam any more? why I don’t have this breeding sanctuary? can i also try fallen angel and soccer? I have a question will unlocking the breeding sanctuary affect your normal breeding habitat? I’ve been at level seven, is very difficult to get level one, whether it can be updated so that it can choose to breeding at the level that we want right? and for a moment I accient doom dragon breeding there accient dragon can be summoned again? joseph seeley my breeding sanctuary is level 2, i have all the level 1 dragons, but only have wyvern in the level 2 dragons,should i level up my sanctuary more or do i try get the other level 2 dragons first? i just bred an apocalypse with a level 10 penguin and a level 12 Sun in sanctuary level 3. What are “group” and “individual” and the prevents? Thanks. I have come back after a long time to play and i have only 26 gems. Should I buy the breeding sanctuary? I do not have this building “breeding sanctuary”. where can I get it? So we just cannot breed them at all? Can you downgrade the sanctuary or trick it in to thinking that is a lower level? So my question is I’m already at level 8 so I will never get to breed the level 1 or 2 dragons anywhere. how to upgrade sunctuary sir? maybe i shouldnt have upgraded the sanctuary to lvl 7 before getting any of the lower dragons lol. To any and all-last April, when the Breeding Sanctuary was released-I foolishly went immediately to level 4-and was disappointed that others were breeding their Sanctuary Specific dragons but not me-then one day I looked carefully at the outside of the Sanctuary and it said it was a Level 3 yet when I opened it-it stated on the inside that my Sanctuary was a level 4. I have, for 9 months, been asking Social Point to fix this-not got done yet-they did, however, give me the Dragons for the First 2 levels and urged me to keep trying-but I have never been successful and no matter what device I play on, no matter what the updates have been, no matter how many times I u install and reinstall the game-the number identifying the level on the outside of the Breeding Sanctuary has Never agreed with the number identifying the Breeding Sanctuary level on the inside-and I have never bred a Breeding Sanctuary Dragon despite using it pretty much constantly. I have the breeding mountain, what level is that? i tried breeding a burning dragon and a chirmilain dragon but I didn’t get a wyvern dragon what gives! I am so hopeless for getting any dragons from the sanctuary.. when i got steam dragon i feel so relieve.. and now on. I am lvl. 4 breeding sanctuary. Does the breeding sanctuary boost to certain pairings only apply if those dragons are actually bred in the sanctuary? Or does having a sanctuary of level x apply generally to all breeding that you do even if they’re in the mountain and/or the tree? Thank u joseph. Needed the update badly….Glad u are so informative. The font on this page is really hard to read, even when zooming in. my breeding sanctuary was crash..
its been a week or two.. please help me with it..
help me fixed my breeding sanctuary.. i cant upgrade it . it stuck at level 1. I had no comment but rather I had a question. I had unlocked my sanctuary and I had put in more or less 1M gold to reach to level 2, however I was not able to breed any dragon that are supposedly to be breed in Level 1 ex. Deep Red or Ninja Dragon. Please advice what to do. Another question is I played Social Empires so that I can get a Paladin Dragon if I reach Level 10, but to my dismay I cannot get the Paladin Dragon even if I am already at Level 12. Thanks. How exactly do I get this thing? Well I was an idiot and upgraded my sanctuary WAY TO FAST.. went to level 8 as soon as I could not understanding as I was new at the game, so once I hit level 25 and opened the damn thing, I focused on upgrading it as fast as I could .. is there anyway to get the lower sanctuary level dragons now that I am level 8? My daughter started after me, and I warned her and she is getting all sorts of dragons that I seem to have no chance at…. IT’S FRUSTRATING!! It’s possible to update this page with the newest level of the Sanctuary please? So the less money we have the less it will cost upgrade the sanctuary? Having some sort of glitch on the breeding sanctuary. When I highlight it and tap the red heart nothing happens. Same thing on the limited time islands. I’ve only been playing since the World Cup island but it’s done this on all of them. Absolutely no way to finish them in time if I can’t get back in to fight every 2 hours. I have the apocalypse dragon … now comes the Promethium. I am happy. Dont like legendary fighters. Everytime the same. I can add some peoples. Im over level 50. And like to play eveyday.also if you like a gift pro day…..
Are the breeding sanctuary free on Android when you are connect to facebook with the android part ? Anyone know what dragons will open up in level 7 and 8? Do i have to specifically breed these dragons in the sanctuary or once i’ve unlocked them i can breed them in the other breeding grounds?? Please add me on facebook !!!! How do i get sanctuary? so to get the sanctuary you have to be level 25????? Only need Abyss and Forge from Sanctuary but having trouble with these last two any ideas anybody. I think its a bit rich, when its so hard too get dragon in lvl 1, then you have too spend, I don’t know how much gold too open lvl 2 (OK Yes its Free ).But ! what it is doing is forcing people too buy gold (with real money). Ok yes like all things in life now nothing is for free. The world has changed it is a greedy place now. Everyone wants there pockets full of money. What level do you get the sanctuary? lv5 sanctuary bred dark fire + cold star both lvl10 got abyss and apocalypse 2nd and 3rd time repectively. can i get a dragon frm sanctuary lvl 1 after i upgrade to lvl 2? I had no problem getting everything on level 1 and level 2 on the first try, other than quake. I just cannot seem to breed that puppy. Grrrr. Up to level 3 now. We’ll see what happens with those. I have a egg that will not hatch. Time has ran out but the egg is still stuck what can I do? I have a habitat ready for it. I can’t update the breeding sanctuary…a box with error appears…how can I solve it? I got Apocolypse 1sy time with Chimera and Fossil dragons also got one with Cold Star and Burning but that took a lot longer to get. Got team with Sea and Ice and Fire Dragons. I got the gargoil dragon in one shot.and I think I did the same with the apocolipse dragon too. And I’m only at Kevel 3 with it. I’ll let you know if I did get the apocolipse dragon. I’m still breeding the sun and penguin dragon. Does anyone know how to breed Apocalypse dragon? I tried breeding Burning with Cold Star and Cool Fire with Fallen Angel, I still can’t get it. I have a lot of food to feed it. I am getting REALLY sick of getting kicked out of the game every time I try to level up! Every time I try to bring my breeding sanctuary to level 4 I get server errors on their side of things. I have put a trouble ticket in and heard absolutely nothing back, I would have the sanctuary to level five by now if this problem did not exist. Has anyone found a work around or a better way to reach support? Can anyone help with breeding gargoyle everyhing I can think comes out wizard as most likely result. Need a couple dragoncity friends, trying to unlock my last two islands. Send me an request. Thanks! how do you get a breeding sanctuary? Thank you Coki Tiki but I only have L3 Sanctuary at the moment but this might help. Breeding Apocolypse dragon first try with Chimera and Fossil Dragons L3 Sanctuary. Having a lot of trouble getting Magnet anyone any ideas. I’ve got Promethium!!!!!!!!! so lucky !!!!! if i upgrade breeding sanctuary to level 2, can i get deep red dragon again? Can somebody help with the dugeoun Island? I have a space dragon. Does anyone know anything about it? It has been hatching for days and still has 27 hours to go. I can not find anything about this dragon. We need a separate breeding calculator for non sanctuary breeding attempts. didn’t know where to post this.but does anyone know what Dragon is after Dark Fire in the new dungeon challenge. There is so much going on now in this game I’m not getting anything else done! Joseph Seeley- Or Any Body.. I’m Haveing Problems With The New Breeding Santuary! I Paid Through level 4. But 4 Will Not Unlock. The Bar Is All Red 100% And The Level 4 Dragons Still Have Locks On Them. And The Game Refreshes Evey Time I Try Anything. It’s Been Like This For 3 Days! I Cant Breed Any Of The Dragons In The Santuary. Only Regular Dragons That Take Seconds To 4 Hrs To Breed… I Sent A Ticket 3 Days Ago Nothing. Can You Give Some Advise To Somthing I Might Try To Fix The Problem. Please. My Browser Is Up To Date. Thanks In Advance. i got apocalypse on third time trying sun and penguin! Well done Coki Toki I don’t have Sylvan though going for level 3 dragons now as already have Wyvern. Good luck. Finally got Quake Dragon Level 3 breeding sanctuary using level 20 Mud and Leviathan 32.6% got it first time. Other options have a higher % but Colossal is higher than Quake. I know I’ve had 4 hope this is of help. Anyone had any luck breeding Quake Dragon if so with what I keep getting Colossal and as this takes 36 hrs it really starting to be really annoying. Got th 4 in level 1 first try and the steam in level 2 but stuck on quake. how many days wil it stay? is the breeding santcuary permanent ?? What is meant by “Expected Time”? I do not have the breeding sanctuary??? even on my comp it doesn’t come up ive deleted it and reinstalled on my phone and still nothing?? help? qualcuno sa come si ottiene Fallen Angel? I jus bred Abyys with Fallen Angel and Ice&Fire thank you!! Got Burning Dragon by breeding Flame and Dark Dragons on my first try! I also got the Deep Red Dragon on my… third try by breeding Medieval and Dark Dragons. MON NIVEAU EST BLOQUÉ A 2 IMPOSSIBLE D ALLER PLUS LOIN IL EST MARQUE ERREUR DU SYSTEME ET ME RELANCE LE JEU . QUE DOIS JE FAIRE SVP. Do we have to use the breeding sanctuary to breed the new dragons? Would it work with the breeding tree and mountain? Is this on android only, I have iOS and I do not have this island? Will they add more upgrades? Would pay 30 upgrades to get Millenium breedable! i tried at level 5 …for 6th time , Fallen angel and Cool Fire dragon => got apocalypse..! where is the supersonic dragon? Got it now — thanks to all that answered —-you rock. I had been a bit concerned. I have breed twice so far, the first was a common, and this second ended up with 12 hours breeding time so I was bummed. Then I read some of these posts and one got my hopes up. I too thought breeding and hatching times are the same, but I can now confirm the Burning dragon is 12hrs breeding and 16hrs hatching. BTW, I used Pure Dark and a Flame. Now to try another combo and hope for another good one! I bred dark fire and carnival and gor deep red. I was at level 3 in the sanctuary. Anyone else having issues with vanishing eggs out of the Breeding Sanctuary? 2x So far the heart popped up the first time my Hatchery was full the egg which was a Blizzard dragon vanished…It said my hatchery was full to try again but my egg went by-by. 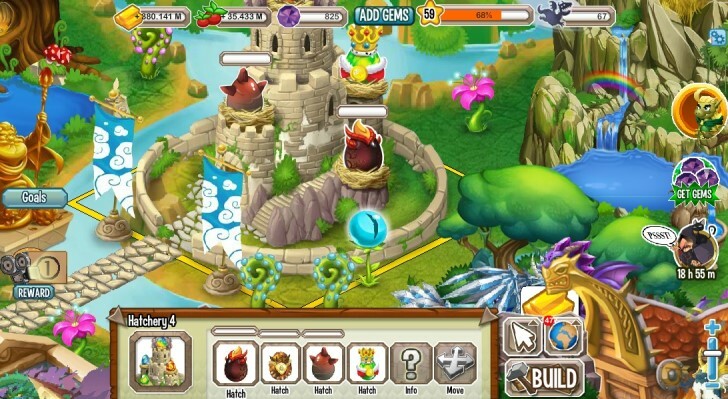 The secound one was a Deep Red it just vanished when I clicked on it saying Dragon city was experiencing server issues. I reload come back to empty hatchery empty sanctuary. Anyone else having this issue? And no they were not in storage. Just picked up a Burning dragon by breeding level 7 Dark and Steampunk dragons in the Breeding Sanctuary (level 1). First try! So either I was very lucky, or the chance of getting one of the dragons in the first level is higher than what’s posted here. I’m trying it again, in the hopes I get a Deep Red. One thing that I thought was odd was that the breeding time was 12 hours, but the hatching time for the Burning egg is 16 hours. I thought these times were normally the same, weren’t they? It makes me wonder if there’s something else with the Breeding Sanctuary in regards to breeding times. I d t have it . Y ???? Joseph can you tell any combo or which dragons has more chances for d supersonic ??? With Armadillo and Gummy it can be breeded ?? Bookday can be bred in the Breeding Sanctuary???????? ?it’s an error?? I play on 2 accounts and did not upgrade to level 2 and have got deep red and possibly burning next. Both accounts are getting dragons first try. I upgraded breeding sanctuary to level 2 before getting the level 1 dragons now I don’t seem to be able to get level1 ones however I have got Steam and I think it is a Quake breeding now as it is also 36 hours. till when this sanctury be its a event r what any one can answer it ??? I do not see the Breeding Sanctuary on my IPad.can we get it there? Is this going to be part of the game from now on or will it disappear after a certain amount of time?? Once you unlock dragons in breeding sanctuary, do you have to breed them there or can you breed them at the breeding tree and breeding mountain too? seem like a just another breeding tree still can not breed basic dragons like fire and ice dragon. which at one time you could do. how to breed deep red? We need more or larger islands! Does it allow standard breeding like the Ultra Breeding Tree? So, I am assuming that a next level of the Breeding Sanctuary will get unlocked if you can breed all of the dragons listed in the current level? Slow job, but that is free. Is this a permanent island or are we wasting alot of gold on something temporary? What do you mean with group and individual % ? Excellent work Joseph as always (Y) You are a Star Sir!! Is this only through computer, I don’t see it on my phone?